Did your HVAC stop working or blowing hot or cold air like it’s supposed to? Don’t panic. Fire & Ice HVAC, Inc., one of the leading HVAC contractors in the area, shares some tips on how you can handle such emergencies. Perform Basic Troubleshooting – HVAC problems are often rooted in simple causes such as thermostat malfunction, so checking it is a good place to start. First, make sure it’s still set to the correct temperature, then try setting it a few degrees off then back again. Failing that, reset and/or replace its batteries. Contractors also say that cleaning the connectors as prescribed in the care and maintenance manual is a good idea. You should also check the power source the HVAC unit is connected to, making sure the circuit breakers aren’t tripped. Clean the HVAC – Clean air ducts allow efficient and problem-free operation. Accumulated dust, dirt, and debris can hamper your HVAC system output, to the point where it can block all air from the ducts. HVAC contractors would often first check the air filters and change or replace them at least every six months or every month during summer and winter. Make sure the vents are clean as well. You may also need to arrange for professional duct cleaning if you haven’t already done so in the past few years. Inspect the HVAC and Ductwork for Leaks – Inspect the condensate pipes and make sure the water only collects where it should. If you have a split-type HVAC system, check the connections between the condenser and evaporator units and check for damage. Call a Professional for Repairs – If your HVAC system isn’t working at this point, contact your trusted HVAC contractor for repairs. Check if your warranty coverage is still active, as it can save you on the repair costs if it’s covered. 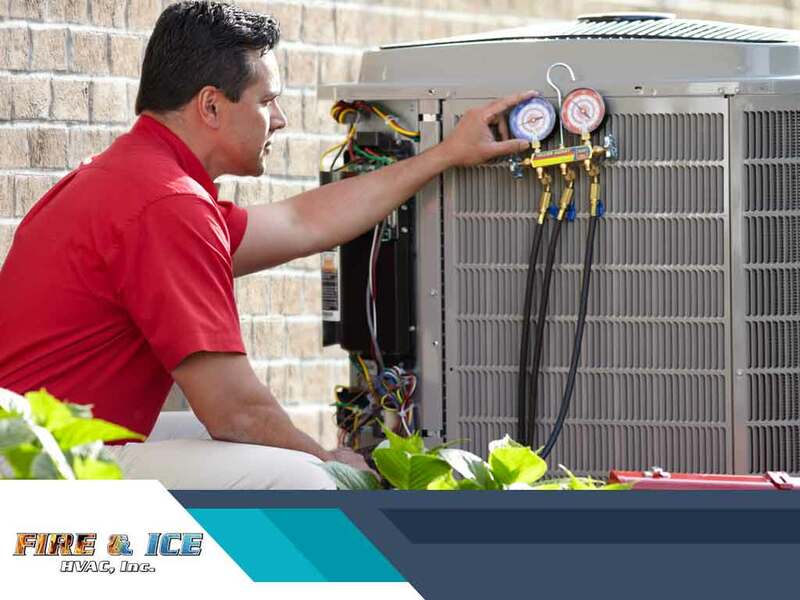 A capable HVAC technician should be able to give you a fairly accurate estimate of the repair costs and timeframe as well as any component that will need to be replaced. State the Nature of Your Heating Emergency: Fire & Ice HVAC, Inc. If you need a reliable cooling and heating company who can handle your HVAC emergencies, call Fire & Ice HVAC, Inc. today at (703) 496-5527. You can also fill out our contact form to schedule a free estimate.